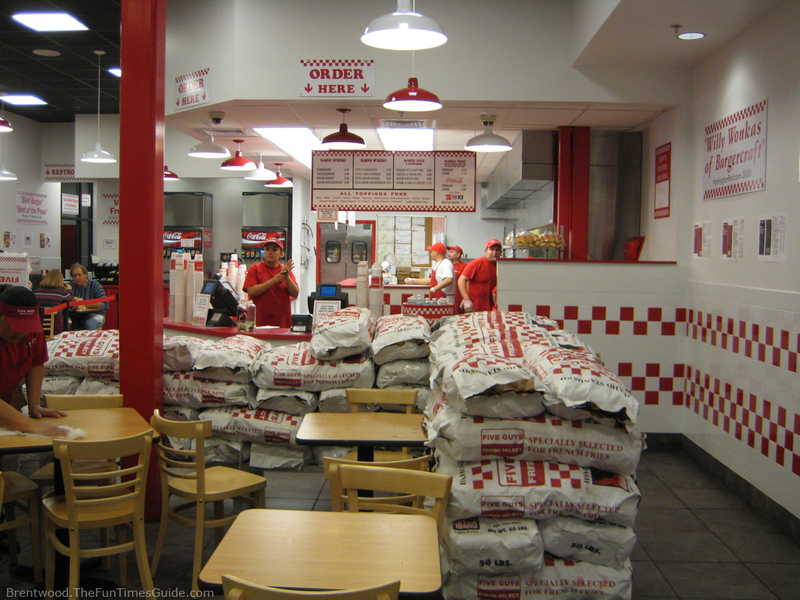 Five Guys Burgers and Fries is a growing fast food burger chain. I’d heard of them from a number of people in the state, but their first location in my neck of the woods opened up last week (on Westnedge, in Portage), and I decided to check it out. I had heard good things about them, so my expectations were high. Not the Five Guys I went to, but a Five Guys nonetheless. I guess stacking sacks of potatoes in the restaurant is kind of their thing? Five Guys reminded me somewhat of Schipper’s in NYC, and I’ve been told it’s also similar to In-N-Out Burger out west. Basically, it’s one of those restaurants with about a hundred people in the kitchen frying up patties and bacon. 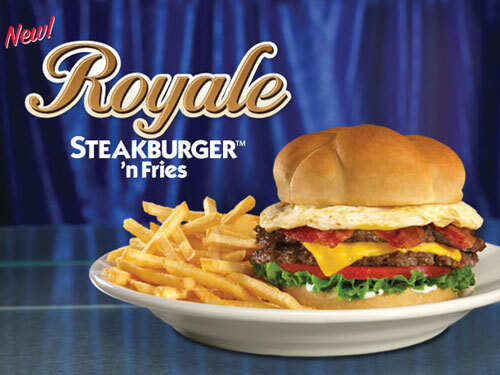 Their standard burgers come with grilled onions and mushrooms, lettuce, tomatoes, pickles, mayo, ketchup and mustard. Bacon and cheese can be added for a fee. Obviously, I went for the bacon and cheese. The burger was delicious. This is a classic American hamburger: messy, greasy and delicious. 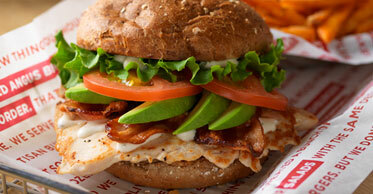 All of the ingredients are fresh enough and prepared to order, but in a quick, energetic fashion. Five Guys uses an egg bun, which is slightly sweeter and somewhat richer than an average hamburger bun. 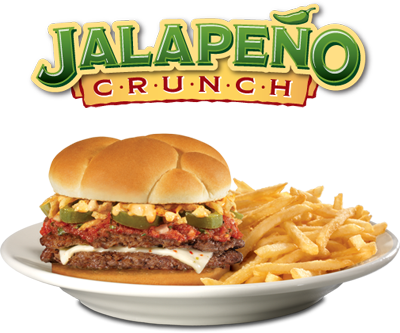 The classic style was great, but Five Guys also offers relish, Jalepeno peppers, A1 steak sauce, and more. As delicious as it is messy. Five Guys is a bit more expensive, running around $6-8 for a burger without any sides or drinks. They only offer fries as a side (I would recommend Five Guys style over Cajun style, as crazy as that sounds). 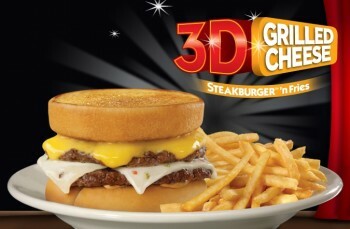 It’s not super pricey, but it’s more expensive than the average fast food joint. One other thing: I don’t usually go into nutrition/health stuff on Sandwichtalk. I don’t generally count calories myself or anything, and I figure there are plenty of places to find that kind of information online if you’re interested. But I do feel the need to mention that Five Guys has been listed on a couple of lists of the most unhealthy restaurant foods, and a burger has between 700 and 1000 calories. I only bring this up because a few hours after eating there, I felt really bloated and sick. 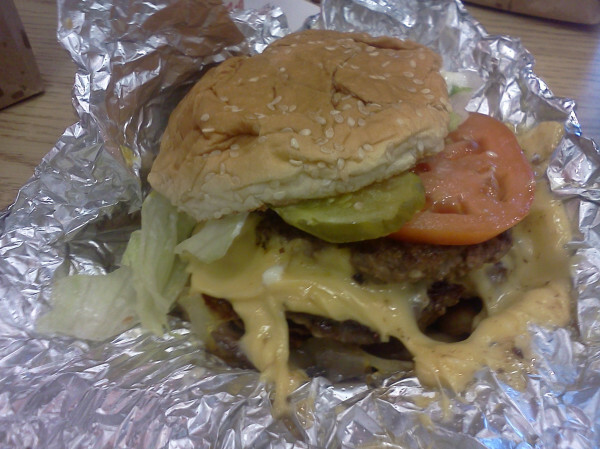 Again, I did enjoy Five Guys. I had a great burger there, which was prepared quickly and to order. But the fact that it’s a little pricey and a little unhealthy means it’s not going to become one of my regular spots. Definitely try it, definitely have it every now and then, but I wouldn’t turn it into a daily or weekly destination.